Leeds can only be described as a gem of a city, tucked away in the beautiful Yorkshire dales. An excellent combination of marvelous green spaces where you can enjoy a nice long walk or picnic to vibrant city where your nights really come to life. If you're looking to study somewhere where there’s as much chill as there is party then Leeds is where you want to be. Renting in Leeds is also cheap, cheaper than most cities and it’s a people-sized town. The majority of students can walk to their lectures because most student accommodation is located at a close proximity to all Universities. This is done solely for the convenience of the students that come to Leeds and it reduces your traveling costs (not that they’re that much anyway). The city has over 50,000 students attending its Universities. Therefore it’s safe to say Leeds is geared up for students with student friendly bars, nightclubs and discounts. Leeds is notorious for its vibrant nightlife and no matter what your ideal night looks like, we can assure you they’ll be a bar for you. 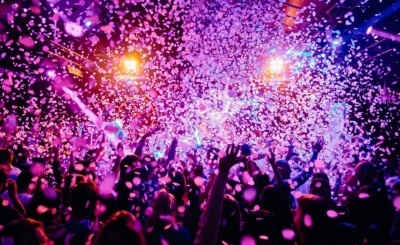 Get ready to party, with everything from fancy three-tiered clubs and live music venues to bars that have a license till 6am. They have exclusive student nights where you can pay discounted entry price and/or just get in for free! Check out Tiger Tiger, The Church, Space and the Hifi Club. Finding somewhere to live will be overwhelming with so many properties to choose from however you can be sure of a competitive price when it comes to rent. Due to the increase in students relocating to Leeds there are so many utility companies offering utility bill packages for as little as £16.00 pppw and this includes everything and even your Wi-Fi. You can also kit out your new pad without spending too much money, visiting places such as the range, Home bargains and B&M. No need to worry about your food costs as you will constantly see reasonable prices between all supermarkets including Sainsburys, Morrisons, Asda etc. The average weekly spend for a student in Leeds city comes in at £217.00 (inclusive of food, rent, travel, study materials, and general expenses). We have one of the busiest shopping districts in the country. From independent boutiques to a massive Primark that covers three floors! Whether you are looking for something special or just some retail therapy, you won’t have to travel far to find it in Leeds. We have two shopping centres that have recently opened including Trinity and Victoria Gate. A great combination of beautiful scenery and thriving metropolis which provides you with the best of both worlds. You can visit some of the great parks including Yorkshire Dales National Park and Yorkshire Sculpture Park. There are plenty of museums and art galleries to visit most with student discount or free entry. If you’re a big fan of food then you won’t struggle to find somewhere to eat in Leeds. Home to some of the greatest restaurant chains which offer a massive selection of diverse cuisines. Street food is becoming more and more popular with many bars and restaurants across the city offering something to keep everyone’s bellies rumbling including Trinity Kitchen! You’ll also find a large variety of steak houses, burger places and Thai restaurants posing some of the nicest food including Little Tokyo, Gaucho and much more. Now you can even get restaurant quality food delivered to your door with your local Deliveroo and Uber eats app which has been impressively popular over the last few months. 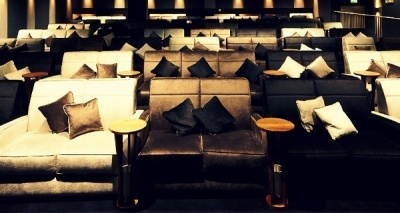 Fancy the cinema? We have one of the country's oldest cinemas at Cottage Road Cinema which has been regularly screening films since 1912! You also have the new Everyman cinema which has adopted comfy sofas into its screens and you can even order pizza and burgers to be brought to you.